The Marvel Fact Files Specials continue with the Hulk from his appearance in the acclaimed miniseries, Planet Hulk. The Marvel Fact Files Spec. 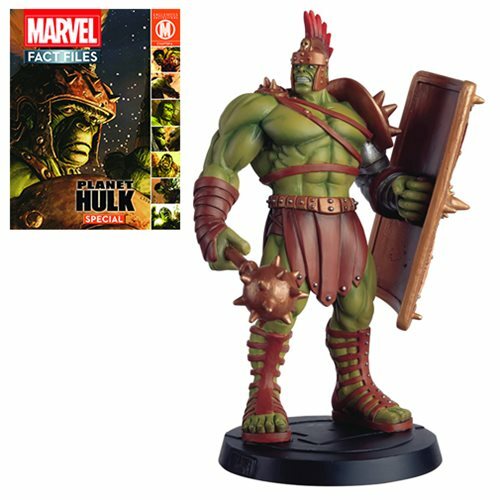 #29 Planet Hulk Statue stands at approximately 7-inches tall on a Marvel branded base and comes complete with a 20-page magazine #29 detailing the character's long publishing history. Ages 14 and up.